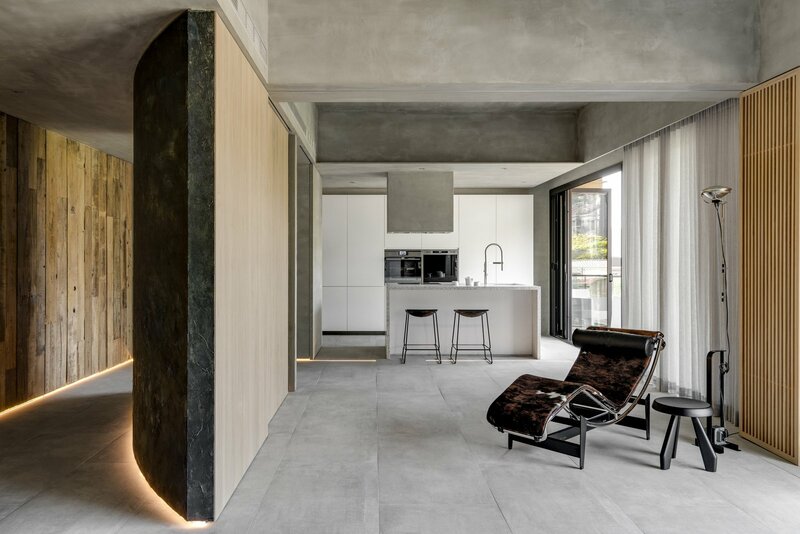 Enveloped by lush greenery, this contemporary Taiwanese apartment marries Zen elements with sleek, minimalist design. 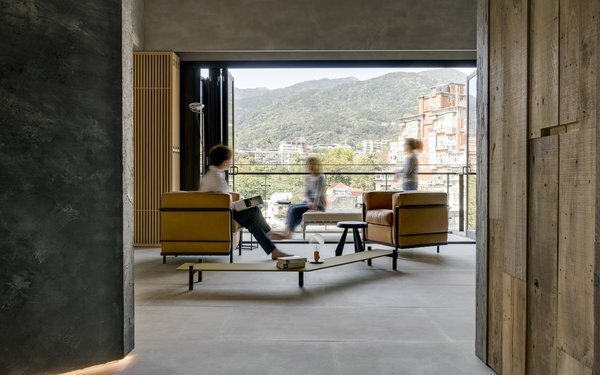 Located in Taipei’s scenic Beitou Hot Spring area, this 1,722-square-foot home belongs to a retired couple who were seeking a peaceful oasis that reminded them of Taiwan’s agrarian past. 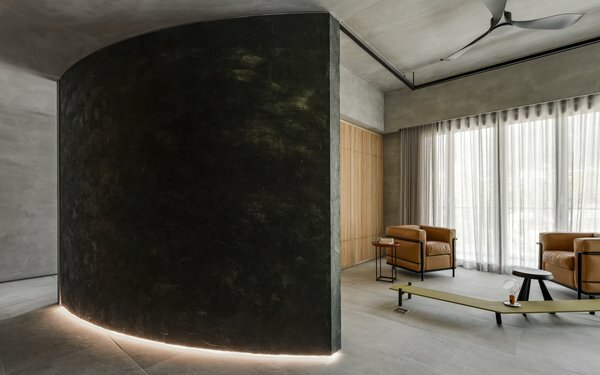 After seeking assistance from local interior design studio Wei Yi International Design Associates, the property now mixes a rustic material palette with minimalist design to allude to the beauty of imperfection, as espoused by the traditional Japanese “wabi-sabi” aesthetic. The gray-black structure in the middle of the home has been cladded in rusted metal and gold foil on one side to appear weathered and aged. 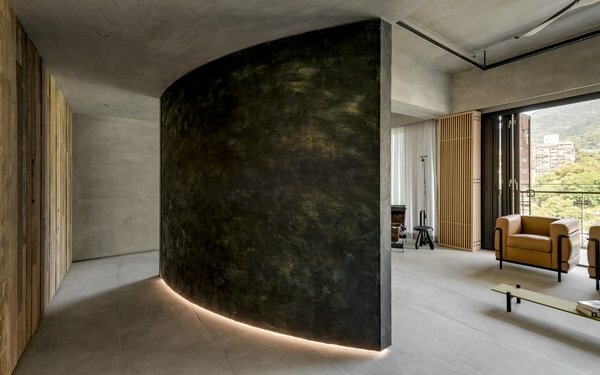 The lower convex edge of the structure is fitted with strip lighting, which when switched on, illuminates the passageway between the curved structure and the interior wall. Balconies and generous windows visually connect the interiors to nature outdoors.